Accessories can be expensive, especially belts. I put on my white leather belt the other day and was afraid it would break while I was wearing it. I tried to find a new belt at the thrift store but there were none to be had that I liked. I even tried Charming Charlies and Target. So I decided to try to repair the one I had. Michael’s to the rescue. I had a 50% off coupon and they had white suede lacing!! They had 2 different spools one had 8 yards and 1 had 25 yards. 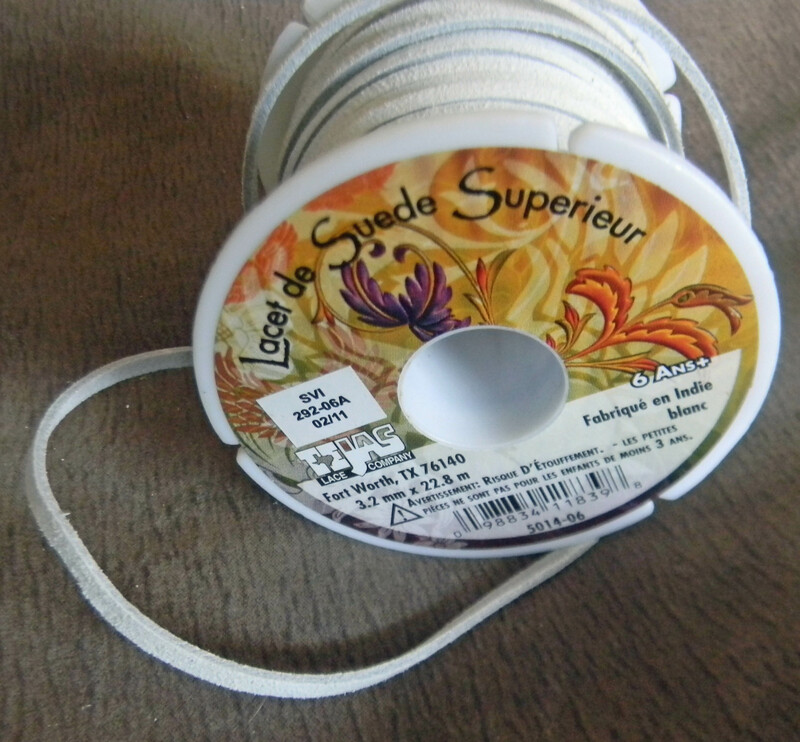 I purchased the 25 yard spool for $4.50. I should have known I would not need even close to that much. I think this repair probably cost less than $1 as I have TONS of the lacing left. Guess I will keep it for future repairs. 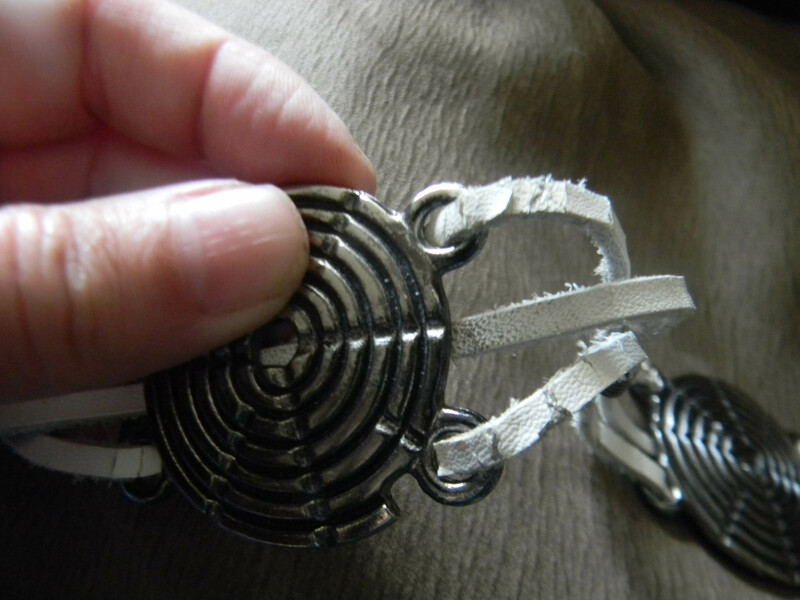 There were 3 pieces of lacing woven through the circle metal pieces and then through a small flattened metal piece. 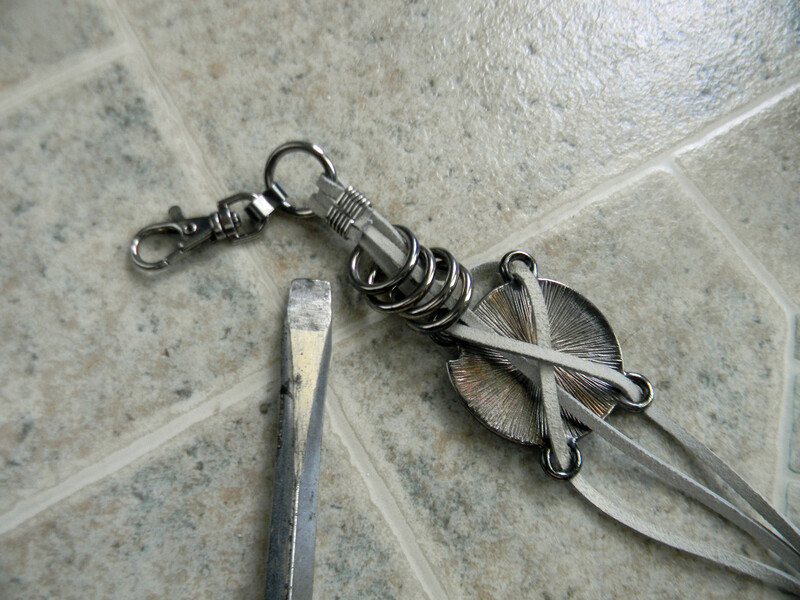 The hardest part was at each end of the belt where I had to bend apart the small metal piece. I did this by cutting the old suede off and then using a LARGE screw driver to stretch it apart. After I laced the pieces through the closures I just flattened it back. 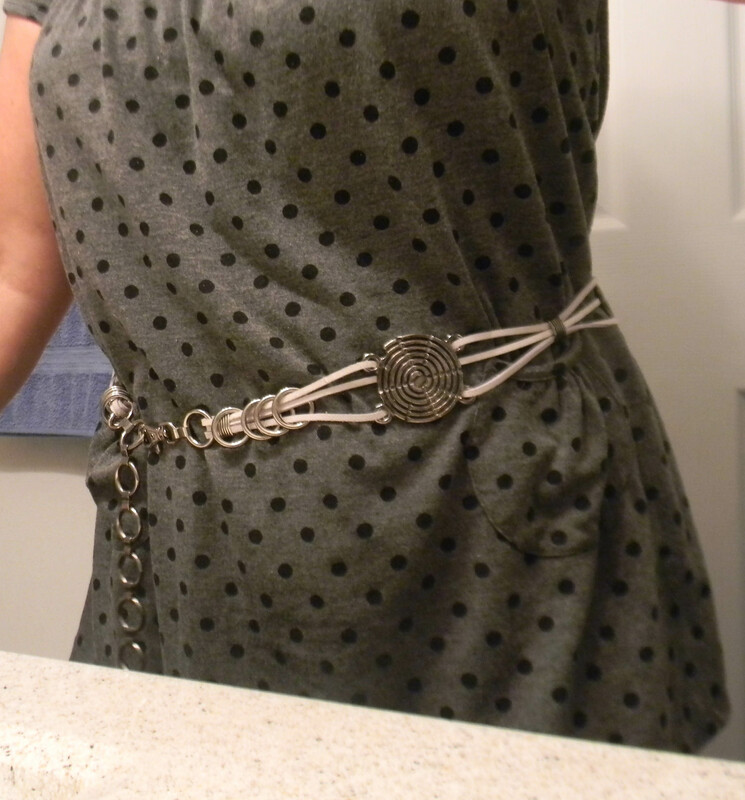 The original belt was a bit big so I was able to decrease the size while replacing the old lacing. Now I can use my $35 gift cards at Kohl’s for something else! 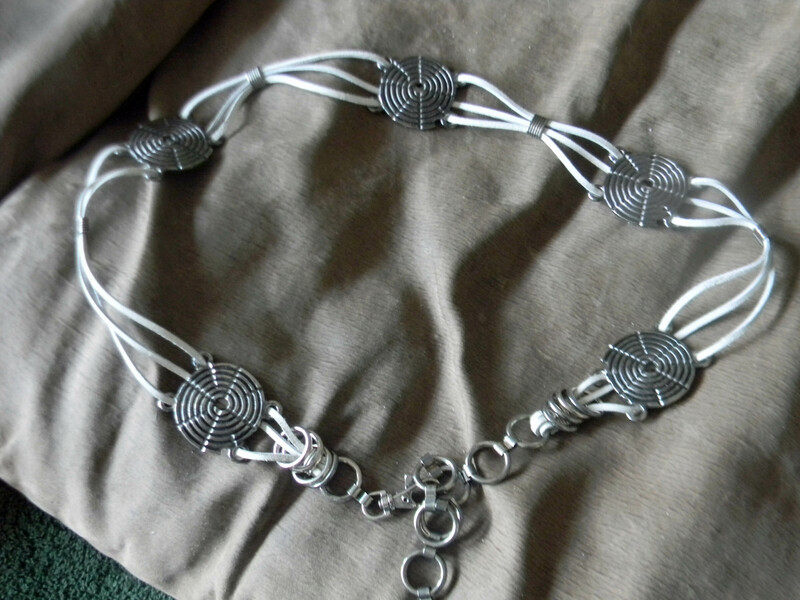 This entry was posted in Crafts, Posts and tagged crafts, leather belt, repairing a belt. Bookmark the permalink. Clever re-do! You sure are handy! Yehovah gives me the widsom!